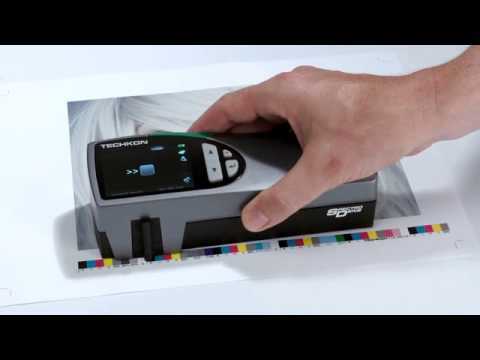 Techkon SpectroDens is a Spectro-Densitometer. It is your all-purpose, modern measurement device. Whether it be in pre-print for verifying proofs, for ongoing quality control at the printing press, during delivery inspection of paper and print products or in a color lab, SpectroDens is exceptionally suitable, whatever your application. Thanks to the individually adjustable display functions, you can quickly set up the device for your particular job.